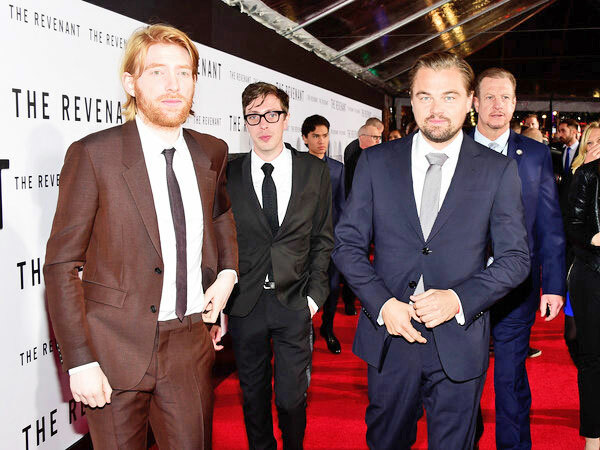 Tag Archive | "Leonardo DeCaprio"
The movie “The Revenant,” which premiered in December, was nominated for more Academy Awards than any other film in the running, with 12. And chances are, if you saw the film, you also saw a hometown grad, who is currently living out his acting dream in Hollywood. Joshua Burge, a 1998 graduate of Cedar Springs High School, and the son of Michael K. Burge and Kim (Burge) Stout, landed the role of Stubby Bill in the period drama about a frontiersman on a fur trading expedition in the 1820s, who fights for survival after being mauled by a bear and left for dead by members of his own hunting team. Leonardo DiCaprio and Tom Hardy are just two of the seasoned actors that Burge got to work with. Burge came to Cedar Springs from Detroit, when he was in the second grade. He was in one of the musicals while in high school, “Babes in Arms,” during his junior year. “It was a blast. Sue Harrison directed it—a wonderful lady. My senior year they did ‘Sound of Music’ but I didn’t pass the audition,” he explained. But that didn’t hold Burge back. He went on to college to study filmmaking. “While I was there, I really got the songwriting bug and started developing the character of Chance Jones, which was certainly a performance,” he said. He used that as his stage name, and then put together a band in 2006 with the same name. The group then won “Best Contemporary Group” at WYCE-FM’s 10th annual Jammie Awards in 2009. They also made several albums. Burge continued to take small acting jobs, then got the part in “Coyote” in 2009, which was the first movie in the Animal Trilogy that he worked on with Joel Potrykus, who wrote and directed all three films. In 2011 they did “Ape,” followed by “Buzzard” in 2014. So how did Burge get the role in Revenant? “After ‘Buzzard’ premiered at SXSW (Film Festival) in March 2014, the reviews were very kind. Amazing, really. All the trades—Variety, Hollywood Reporter, even the New York Times—gave it a great review. This was noticed by a casting agency in L.A. They called me up at home in Michigan and asked if I could send in a videotape audition for this movie called ‘The Revenant.’ Long story short, I eventually met with the director and auditioned for him in person and got the part,” explained Burge. 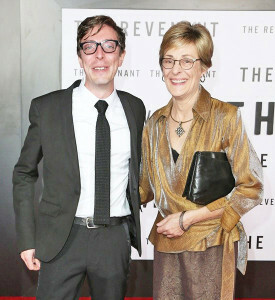 His mother, Kim, said that they had been excited for a long time about seeing Josh in the movie. “We were excited when he got the part, and then he filmed it, and we didn’t think we could wait a year to finally see it,” said Kim, who works in Cedar Springs at Creative Technologies Academy. Kim flew out and spent a couple of days with Josh sightseeing before the premiere. When the time came and they arrived on the red carpet, she said they were some of the first people there, and it was kind of quiet. “We didn’t know what to expect. At the beginning of the red carpet, they just told us to walk. As soon as Josh stepped out on it, flashbulbs started popping, and photographers started telling him to ‘look this way’ or ‘look that way.’ It was pretty exciting,” she recalled. Burge was pretty excited about all the awards “The Revenant” is up for. “Well, I always felt it would happen because of the world class people involved in making it. Alejandro (G. Iñárritu, director) is a genius. Chivo films the most amazing images. Leo (DiCaprio) and Tom (Hardy) and the rest of the cast are absolutely brilliant. While we were working on it, you had a feeling that this wasn’t like anything else. But it is certainly a wonderful thing that it has been recognized so widely,” he said. What is Burge’s next project? “I worked on a film last fall called ‘20th Century Woman,’ and right now it’s pilot season for television in Hollywood. That’s pretty wild to experience for the first time,” he said.